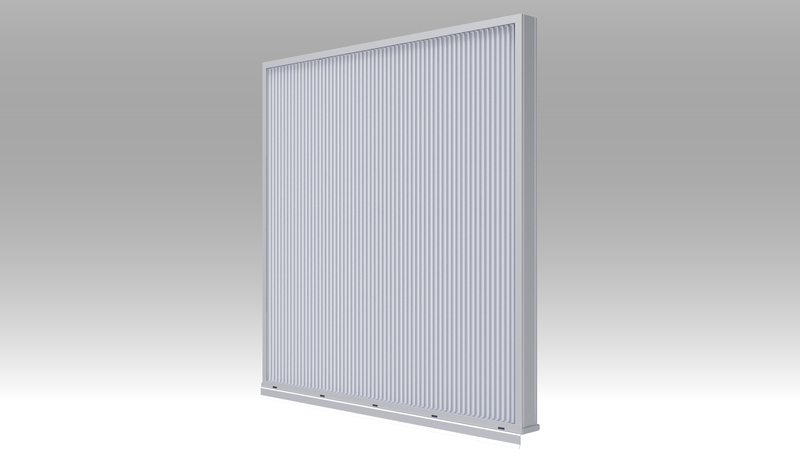 Ruskin® has introduced the EME3625DFL wind-driven rain-resistant stationary louver from Ruskin® is the industry’s only 3-inch louver with Air Movement and Control Association (AMCA) 540 impact resistance. Constructed of extruded aluminum for low maintenance and high resistance to corrosion, the louver is also AMCA 550-listed and is pending 2014 Florida Building Code approval. The EME3625DFL’s closely-spaced vertical blades prevent penetration of wind-driven rain, reducing damage and additional operating expenses. The louver features 45 percent free area, all-welded construction and visible mullion construction.